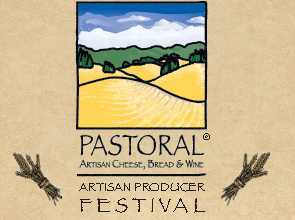 Don't miss the First Annual Artisan Producer Festival 11 a.m. to 3 p.m. Saturday, April 30 at the Chicago French Market ( 131 N. Clinton St. , Chicago ; (312) 575-0306). The no-cost event offers the chance to meet more than 35 featured culinary artisans, sample products and celebrate small batch foods, beers and wine. Pastoral Artisan Cheese, Bread & Wine also is excited to introduce Sour Puss Pickles, a line of small batch pickled vegetables from Brooklyn, N.Y. Sour Puss Pickles works directly with local farms in New York, New Jersey, Connecticut and Pennsylvania to guarantee the quality and freshness of the raw ingredient used in their pickles. Product line includes ginger carrots, mustard tarragon asparagus and peppered okra for $12 per 16 ounce jar. Here's your chance to learn how to cure meats. Chicago French Market's Fumare Meats is featuring Randy Ream from Elburn meats, who will talk about curing, smoking and cooking meat. Canday Le Chocolatier is demonstrating the art of chocolate making and Saigon Sisters is demonstrating how to make spring rolls. Other Chicago French Market artisans participating include Abbey Brown Artisan Soaps, Chicago Organics, City Fresh Market, Delightful Pastries, Les Fleurs, Produce Express, RAW, Sweet Miss Giving's and Vanille Patisserie.